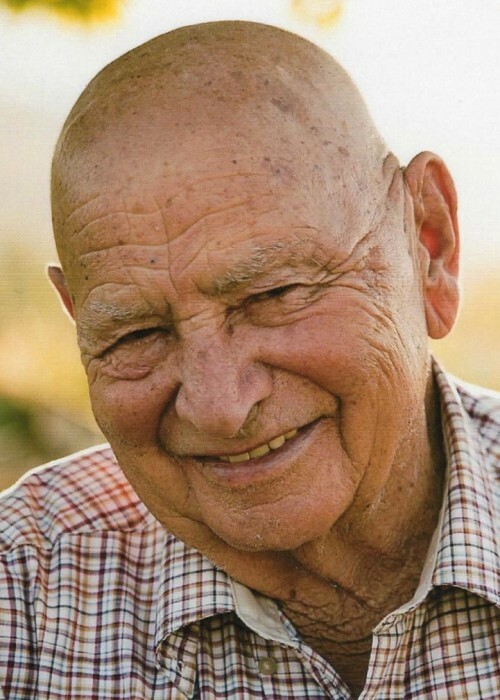 Briar Dee Hutchnson Haslam, 92, passed away quietly into the loving arms of his sweetheart on Monday, April 8, 2019. Dee was born on Aug. 12, 1926 in Wellsville, Utah to Briar Redford and Martha Hutchnson Haslam. He grew up in Wellsville and joined the Navy in 1943 and served in WWII on the USS Corregidor. He met the love of his life, Verna Jane Rose, and married her in the Salt Lake Temple on Feb. 2, 1950. Dee retired from Hill Air Force Base as a quality control officer He also was a police officer, worked in the oil fields, and was an EMT and school bus driver in Morgan. He loved to follow and support the sports teams of Morgan High School. Dee and Verna served in the California San Bernardino Mission and were Ogden Temple workers for many years. Surviving are his children: Renske (David) Crittenden, Randy Haslam, Regina Haslam, Rodney (Valarie) Haslam, Roland (Julie) Haslam, 14 grandchildren, and 10 great grand children with 2 more getting to know him right now. Preceeded in death by his wife, Verna, his parents, 3 brothers, 2 sisters, and great grandson Reed Clark Garn. Funeral services will be Friday, April 12, 2019 at 11:00 am at the Milton Church, 1255 N. Morgan Valley Drive. A viewing will be held Thursday, April 11 from 6-8 pm at Walker Mortuary in Morgan, Utah and Friday 9:45 – 10:45 at the church. The family expresses gratitude to Encompass, with special thanks to Dr. Allen, Corey, Whitni, Gwen, Christy, and the entire exceptional staff at Family Tree for their tender loving care of Dad. Compassionate Service will be provided by the Stoddard Ward.